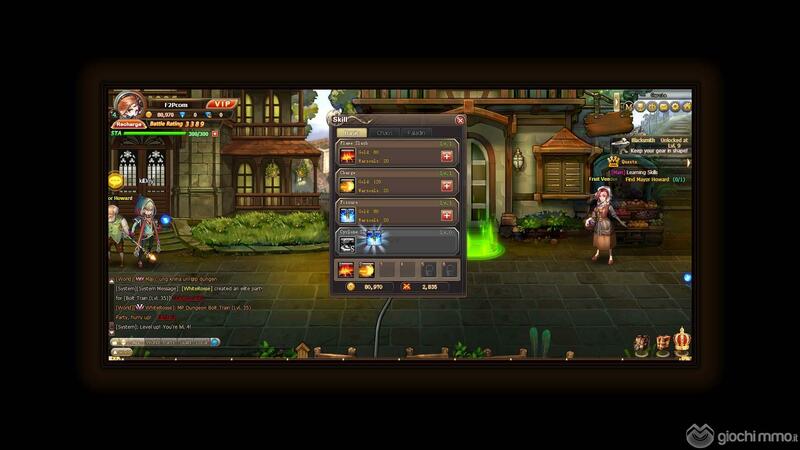 Bleach Online is a F2P Hero Building MMORPG for Web Browser, developed By: GoGames. In Bleach Online players step into the world as created by the popularised and manga TV series and comics Bleach, a story revolving around the adventures of Ichigo Kurosaki as he takes on the powers of the Soul Reaper (a Grim Reaper type character) and must defend humans from evil spirits and help guide the recently departed into the afterlife. In Bleach Online players take on the role of a rescued soldier who has been put into a 1000 year sleep due to the women’s they suffered on the battlefield, however once awoken or your memories have been lost to you and so in search of your identity you have been sent to the human world where the player will meet a wide selection of cast members from the series. The game is a free to play browser-based MMO RPG where players can sign up directly through the game’s official website and play after a quick character creation process. Focusing primarily on a hero/party building style MMO RPG where players will find new companions to join their group, levelling up both these allies and their own hero as well as equipping them with all manner of weapons and equipment to improve the party’s overall Battle Power, a numerical value that signifies how strong you are in battle in comparison to other enemies. After logging gain players are taken to the character creation screen where they can choose between three different classes in both male and female versions, the three main classes are the Ghost Sword, the Spirit Blade and the Kid&#333;, all of which have different skills and abilities as well is their own story driven background that the players must slowly uncover through playing. Players primarily power of their hero through a variety of different features, most particularly the Soul Map that gives them access to new abilities and boosts their defences and stats, however the companions that players gain access to through completing quests and other features can also be quickly upgraded by different means (though never much higher than the main hero character). Combat in the game is completely automated, when initiating battle with an enemy all is the combatants will take turns exchanging blows once the player simply watches and waits for the final outcome where one side will be victorious. The strategy and tactics in the game revolves around making sure your characters and party are well equipped and upgraded to successfully defeat their next challenge as well as manoeuvring around party members using the Formation system. Formations are made up of a 3 x 3 grid which choose the position a character will take when in battle, typically placing tank characters on the front line in the Vanguard column where they absorb party damage, the middle column is for Assaulter classes that do high damage but can’t take as much of a beating and the back column is for Support class characters who can help buff and heal. Players continuously get access to new items and rewards through continued gameplay such as rewarding players with daily logins, gear and items for completing quests and each time a battle is won the player will gain rewards based on their performance and will also get the chance to choose from one of three random cards to get an extra reward. For those players wanting to take a break from combat every level players get the chance to check out Numa Class, where players are tested with a random trivia question relating to Bleach and are rewarded heavily if they give the right answer. The graphical style, themes, characters and even the skills that they can perform in battle are all very true to the original franchise and any fans of the show/comic will no doubt enjoy playing Bleach Online due to the detail that has been added to capture the same atmosphere and story from the original saga. As the game is completely free to play players do not need to part with any money, though there are VIP options that give extra benefits and ease of play features to help players on their way and gain access to some features more quickly.